Chris Bertish – Inspirational Motivational has become a sought after global motivational keynote and TEDx guest speaker. Whether talking at corporate events or schools his tale of overcoming obstacles to get half way around the globe for the Mavericks competition final always has audiences clinging to the edge of their seats. There’s an authenticity to this material that makes people sit up and listen – because Chris walks his talk. In his popular motivation talks, Chris doesn’t just talk about what he does (believe it or not, he’s not one to brag about his achievements). Instead, he talks about why he does it. Because like every successful sportsperson, team-leader, businessperson or entrepreneur, Chris knows that it’s the reasons why we do something that determine how we do it – or whether we do it at all. 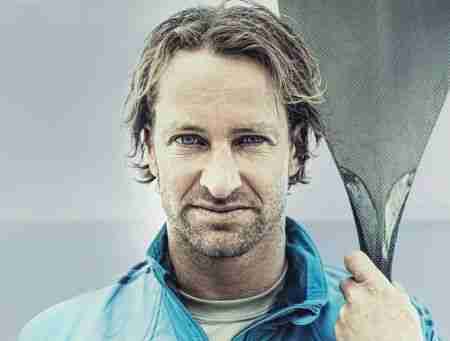 Chris Bertish is not a full-time professional athlete; he’s a regular working guy. That meant he had to balance his talent and big waves ambitions with working to pay the rent. Chris Bertish created his own opportunities to pursue his dreams, running his own small business while he did the tough training. There were plenty of opportunities to get despondent and give up. But Chris never did. In Chris’s world, there is no such thing as ‘can’t’. Attitude has a lot to do with it. In Chris’s world, there is no such thing as ‘can’t’. He has simply banned the word from his vocabulary. Chris is living proof that if you truly believe in something, set your sights on your goal – no matter how big – work hard at it, stay focused and never give up, you can achieve anything. Chris is a Marketing & Sales graduate who runs his own business in South Africa, while inspiring people both locally and around the world, delivering workshops and motivational talks for businesses and corporates alike. Chris motivates staff and sales teams by helping them realize that, by having the right attitude, embracing change, overcoming obstacles and improving planning and preparation, they can dramatically improve business results while achieving their own personal goals and helping them in their personal lives, while realizing their own full potential.